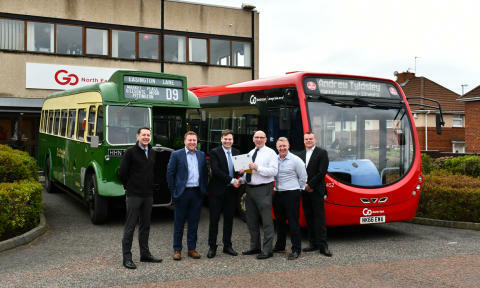 A well-known figure in the industry, Andrew held positions at GMPTE, Merseyside PTE and Shearings, in the early days of his career before moving to the North East in 1989. 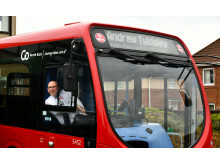 Having studied at Aston University in Birmingham in Transport Planning and Business, Andrew joined Lancashire United Transport as a bus conductor and then as a scheduler. 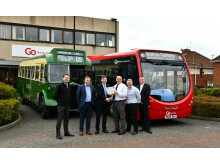 At the de-regulation of the British bus industry in 1986 he joined Shearings, launching new operations at this revolutionary time for the profession, before moving to the North East in 1989 to be traffic manager at OK Motor Services in Bishop Auckland. Following the acquisition of OK Travel by Go-Ahead in 1995, Andrew moved to Go North East as its commercial manager. He was part of the original senior team tasked to launch the merged group of Go-Ahead businesses based in the region now known collectively as Go North East. Since then, Andrew has played a pivotal role developing Go North East's commercial strategies, particularly during the period of managing director Peter Huntley and former commercial director Martin Harris, under which the business saw a transformation of its network and branding activities.